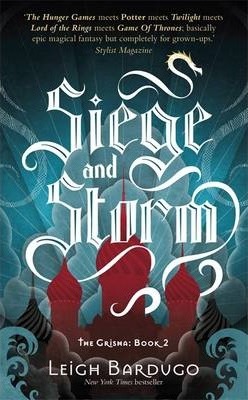 "The Hunger Games meets Potter meets Twilight meets Lord of the Rings meets Game of Thrones; basically epic magical fantasy but completely for grown-ups." STYLIST MAGAZINE The first book was Shadow and Bone. Now Alina's story continues. Darkness never dies. Alina and Mal are on the run. Hunted and haunted, but together at last, they can't outrun Alina's past or her destiny forever. The Darkling has emerged from the Shadow Fold with a terrifying new power and he needs Alina to realise his dangerous plan. There are others who would like to use Alina's gift too. And as her power grows, somehow, she must choose between her country, her power, and her love - or risk losing everything to the oncoming storm. Glorious. Epic. Irresistible. Romance. Perfect for fans of Kristin Cashore and Laini Taylor.